“Type 2 diabetes could be beaten into remission if patients shed around 15kg, [2.4 stones]” reports BBC News. 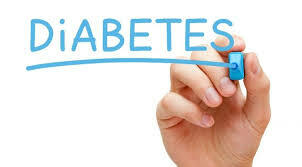 In the past type 2 diabetes was thought to be a life-long condition. There is increasing evidence that even if it can’t be cured, it is possible to put the condition into remission through weight loss. A pressing problem is, as The Daily Telegraph reports, that “less than 1 in 1,000 people” achieve remission. Achieving weight loss through a combination of diet and exercise could mean that you do not have to start taking medication for type 2 diabetes. Type 2 diabetes means the body can no longer maintain healthy blood sugar levels through production of the hormone insulin. When average blood sugar rises to harmful levels (usually described as 6.5% or 48mmol/moll HbA1c, a measure of long-term blood sugar control), people are diagnosed with diabetes. While improved diet and exercise is recommended, most people with diabetes are treated with anti-diabetic medicines to manage their blood sugar. The aim is to prevent the development of complications such as heart disease, leg ulcers and eye damage. Although many factors affect the development of type 2 diabetes, it often accompanies weight gain. In recent years, doctors have noticed that some obese patients who lose a lot of weight, whether through very low calorie diets or weight loss surgery, have blood sugar levels that drop back to normal, and stay that way without diabetes medicines. This has fueled interest in “reversing” diabetes through major weight loss. Instead of curing diabetes, doctors talk about diabetes being “in remission”. This is because it can be a two-way process – if people put weight back on, they may become diabetic again. The news stories are based on a review of type 2 diabetes management and remission by researchers from Glasgow University and the University of Newcastle, published in the peer-reviewed British Medical Journal (BMJ). The study is published on an open access basis, meaning it is free to read online (PDF, 930kb). The researchers say that remission “is clearly attainable for some, possibly many patients but is currently very rarely achieved or recorded”. They say less than 0.1% of people with type 2 diabetes on a Scottish database were recorded as being in remission in 2017. The researchers say that diabetes remission has many benefits for patients, including people being able to come off medication, feeling a sense of achievement and saving money on life insurance and travel insurance. It would also benefit the NHS, which currently spends almost £1bn a year on diabetes medicines. They propose new criteria to define remission from diabetes. Blood sugar is measured using a term called “HbA1c”, which stands for glycated haemoglobin. They recommend remission is defined when there are two blood sugar measurements of less than 6.5%HbA1c, at least two months apart, when the patient has not taken diabetes medicines for at least two months. They say people in remission from diabetes should have their status recorded, and should continue having annual assessments to ensure they have not slipped back into diabetes. How does diabetes remission affect you? If you have type 2 diabetes and are overweight, you might want to talk to your doctor about the possibility of attempting to achieve remission through weight loss. This will require a sustained effort with diet and exercise. Your GP may be able to refer you to a dietitian or other health care professionals who can help you with a weight-loss programme. There is no guarantee of success, but there is a high likelihood of achieving it – the researchers say that about 75% of obese people who manage to lose 15kg of weight go into diabetes remission. In addition, losing a lot of weight if you are obese is likely to have many other health benefits, even if you don’t bring your blood sugar levels down to non-diabetic levels. It’s important to know that this applies only to type 2 diabetes. It is not an option for people with type 1 diabetes, which is an auto-immune disease that usually begins in childhood. Next Article Winter flu warnings: Should I worry?